Context is essential in learning about your ancestors and bringing their stories to life. Reading the evidence is one thing but being able to visualize the people and places imprints more vivid details in your mind's eye. In my genealogical research, I often want to see the places where my ancestors lived. I have collected vintage postcards from the towns and events where they were. Like family photos, these can show me additional details. In my census research, too, my interest is often piqued to see the places where my ancestors lived. I've developed an easy way to try to do this. 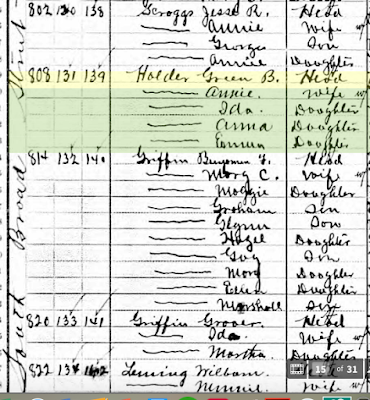 First, I locate the person or family in the US federal census and make note of the details in the left-hand columns regarding street name and house number. This is most effective of course, in a municipal or urban environment. 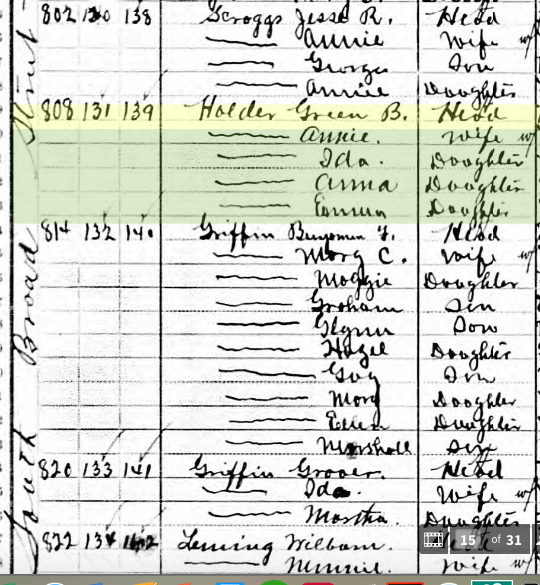 The image below shows the 1910 US census for Rome, Floyd County, Georgia. 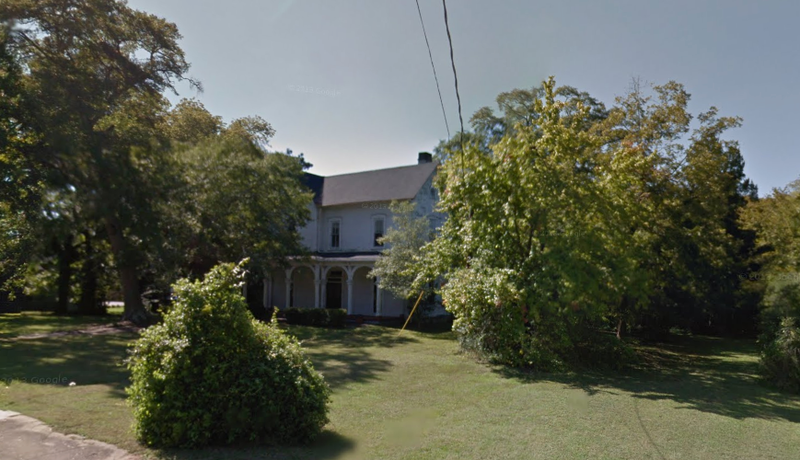 My great-grandparents lived at 808 South Broad Street in Rome. Second, I go to Google Maps and enter a search for the address, When the map page is displayed, I use the Street View facility to go to ground level and then manipulate the 360° viewer to see the address. If I am lucky, the building still stands and I can see what it looks like today. That is the case with the image below, captured from Google Maps. The passage of time may work against you and the house or building may have been razed or replaced. However, if you do locate a photo in Google Maps, that can add another layer of visual context to your research on the individual and their family. I have done that for my ancestors in New Britain Ct. I think I found the house from a picture I had but the street numbers were different. The house number from the census no longer exists. I can only assume that the houses on that section of street were renumbered. Is there a way to find out if the houses were renumbered? We Have a New Portable Recording Microphone! Our New Sound Mixer Has Arrived! The 2019 Podfest Multimedia Expo Was Great! We're Off to the 2019 Podfest Multimedia Expo!